Hummers in paradise Vegas style Hen Weekend party on the Gold Coast. Our professionally designed hens category entails all party types with custom packages. We are specialists in island catamaran boat parties or lounge bar to Nightclub parties. Whether its your birthday party, Xmas, new year’s eve, or just a last day of your freedom before committing Vows, or Hens weekend ideas in Gold Coast? We have a vast range of categories and packages to choose from. Lavish modern nightlife entertainment entwined with quality, confidentiality and security, that’s exactly what we offer. Already excited to flair the heat some more to catch the unforgettable fun for your hens weekend party? Hummers in paradise is thrilled to have you on board. To hold the significance and unstoppable amusement, our Hen weekend party packages contain mind blowing features. 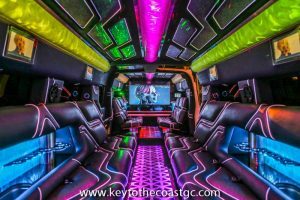 Jaw dropping features of our packages are inclusive of, ride to and from your lodge in a dazzling Vegas style pink and gold Hummer, Hyper stretched SUV or Chrysler 300c Limousine, free marshaled VIP entry to highly ranked nightclubs, luxurious cruise ride with fully operational bar, heavenly delicious cuisine. Photographer and bodyguards are also provided, if requested. Last but not the least, night club tour is also offered with multiple attractive features. Call us a hub that connects you to the world class hummer or limo hire, luxurious hotels, outstanding restaurants and nightclubs in Brisbane. Blow the trumpet, as we are a pivot. We hunt out the best possible deals in our packages. All our tours are designed for singles, couples and party groups. Maximum 52 party members are allowed to apply. Some venues apply strict tattoo policies and you might be required to cover the visible tattoos. A 50% deposit is required in advance to secure your booking. Venue tour is subject to change in off peak times. . Some venues Dress to inspire as few venues might have a strict dress code. Bookings are mandatory at least one week before your festive feast. From a divine ride to cuisine and lavish entertainment along the way, we guarantee you the spectacular services at our disposal. 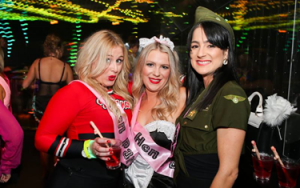 Looking for best Hens weekend ideas in Gold Coast? ? Ruffle your quest. Call us now to catch the exotic fun.